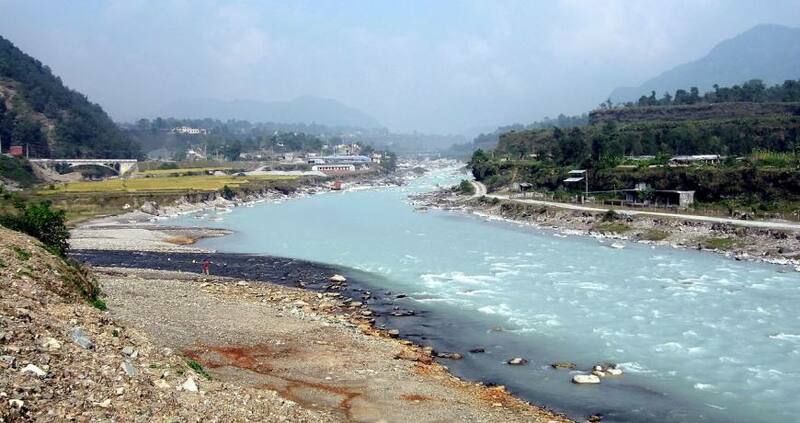 The Seti River is another classic Nepali River coming from the Himalaya, winding its way through forested canyons and twisted rock and sandstone formations.The Seti River originates from the snow fields and glaciers around the twin peaks of Api and Nampa in the south facing slopes of the main Himalayas. The area is near the trijunction of the borders of Nepal, India and China (Tibet and flows in a south-westerly and finally south-easterly again before joining the Karnali or Ghagra River. It has cut a spectacular gorge across the Mahabharat Range and appears to be lost amongst caves and tunnels for a short distance.The River Is small volume but blue and warm water. 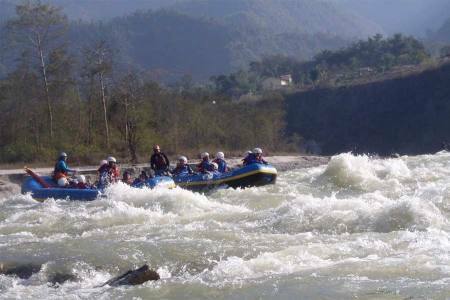 Seti River is Best River for learning kayak in Nepal. 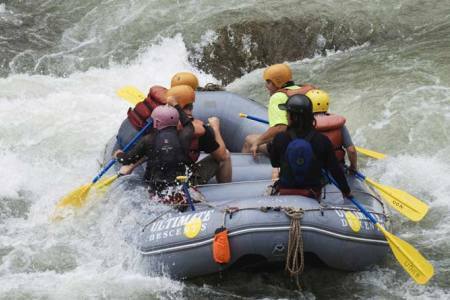 Rafting on Seti River is an ideal trip for those wanting to experience some of the stunning river sensory in Nepal with the intensity of complex or challenging rapids. 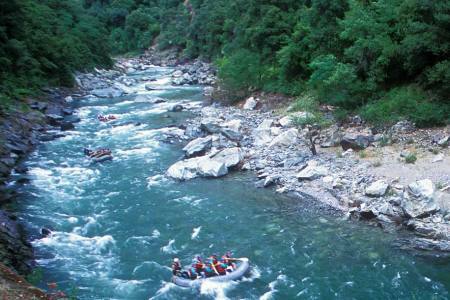 The Seti is very suitable for family rafting. 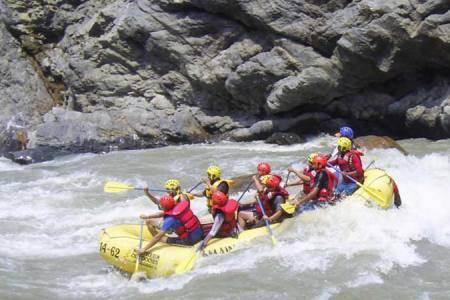 The Seti River is another classic Nepali River coming from the Himalaya, winding its way through forested canyons and twisted rock and sandstone formations. The Seti is famous for its dazzling scenery is a gentle river attracting families, bird watchers, natural loves and dreamers. 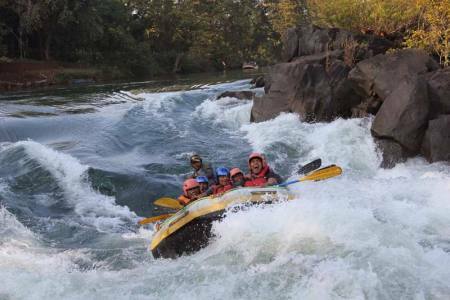 During the monsoon, its swollen rapid prove an exciting test for experience rafter and kayakers. Day 02: After rafting you will end up your journey at Gaighat and drive back to Kathmandu or take a next destination e.g. Chitwan National Park, Pokhara. Day 02After rafting you will end up your journey at Gaighat and drive back to Kathmandu or take a next destination e.g. Chitwan National Park, Pokhara.